Partridge, Bernard. 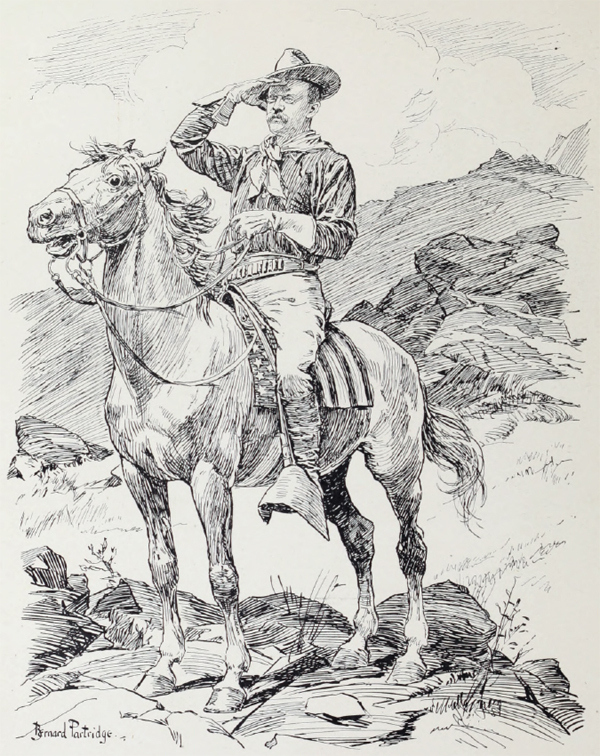 “‘The Rough Rider.’” Cartoons for the Year 1901. London: Punch, [1902? ]: p. 78. Mr. Punch [in notes]; Theodore Roosevelt [in notes]. From title page: Cartoons for the Year 1901: From “Punch”; with an Historical Preface by Henry W. Lucy.